For a high-performance solution that manages big data and analytics workloads at scale, with the ability to perform archive and analytics in place, many enterprises are looking to IBM Spectrum Scale. But how can it benefit your business? 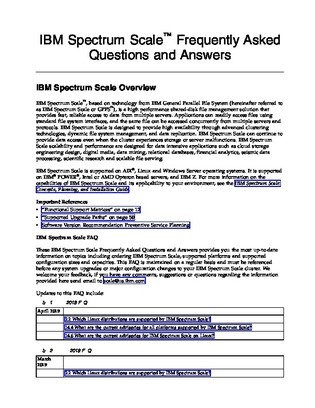 This extensive resource compiles countless IBM Spectrum Scale frequently asked questions—and their answers—so you can align your entire company before purchasing and deployment. Continue reading for the answers to the most common questions regarding software, machine, disk, scaling, and more.